Tens of thousands of Palestinians are demonstrating in Gaza to mark the anniversary of the start of weekly protests on the boundary with Israel. At least two protesters have died in the clashes, Palestinian officials report. 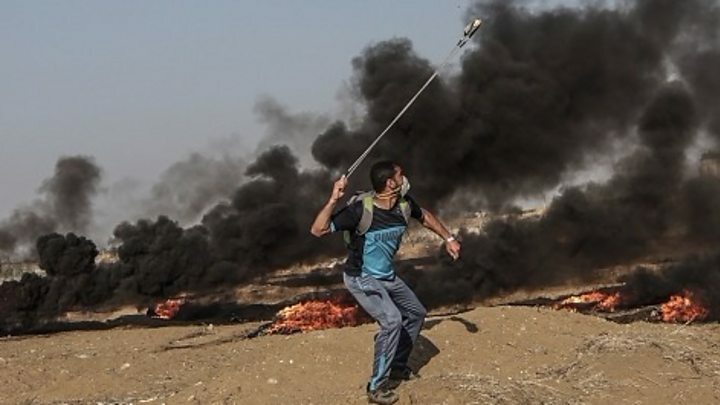 Some 189 Palestinians and one Israeli died in protests up to December 2018, the United Nations says. 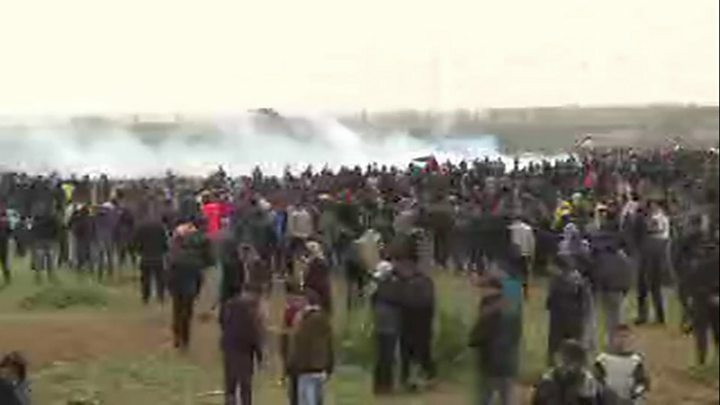 The Israel Defense Forces (IDF) estimated the number of protesters at about 40,000 and there are several thousand Israeli troops along the border. The clashes appear at present to be limited in scope and fears of a large number of deaths have so far not materialised. 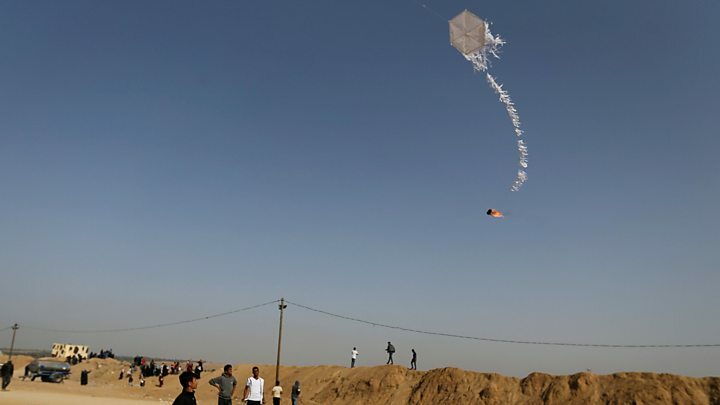 The protests come after a tense week in which Palestinian militants fired rockets at Israel and Israel’s air force struck dozens of sites in Gaza.